Parents: PMHS will run a modified bell schedule the week of April 15th due to district testing, please review the attachment below and plan accordingly! Spring testing is beginning soon and we need your help. If you are available to help for a couple of hours in the morning or afternoon, please go to the following link to sign up. Thank you for your help! Please click here to complete the District Visitor/Volunteer form first if you have not done so. St. Johns County School District is recruiting Bus Operators. Click here to download the Recruiting Flyer. $1000 Bonus Available!! Any student, educator, parent or member of the public can report school safety concerns directly to law enforcement and school administrators anonymously and easily through the FortifyFL app or http://www.getfortifyfl.com. The Florida Legislature directed the development of this tool through the Marjory Stoneman Douglas High School Public Safety Act. The St. Johns County Education Foundation, Inc. (SJCEF) is a public, non-profit 501 (c)(3) corporation recognized as the direct support organization for the St. Johns County School District. The SJCEF’s mission is to lead the efforts of the entire community in raising and distributing funds to support all of our public schools. Programs that are supported by the SJCEF are Teachers of the Year Celebration, Horizon Mini-Grants, Art Attack!, Take Stock in Children, Supplemental Educational Services Tutoring Program, and Tools for Schools. 100% of donations are spent on St. Johns County students, teachers, and programs. Please visit www.sjcef.com to make a donation or learn more about the SJCEF. GoodSearch.com for the St. Johns County Education Foundation, and you can, too! It doesn’t cost you a penny but every time you use it, the Foundation gets one! Please go to http://www.goodsearch.com/?charityid=850265 and start helping today. ABOUT US! Pedro Menendez High School is located south of historic St. Augustine, Florida. Our doors opened in the year 2000 with state-of-the-art facilities serving the needs of 1500 students in St. Johns County. Our curriculum offers Academy Programs in the areas of Business, Digital Design, Health Science and Architectural and Building Sciences. 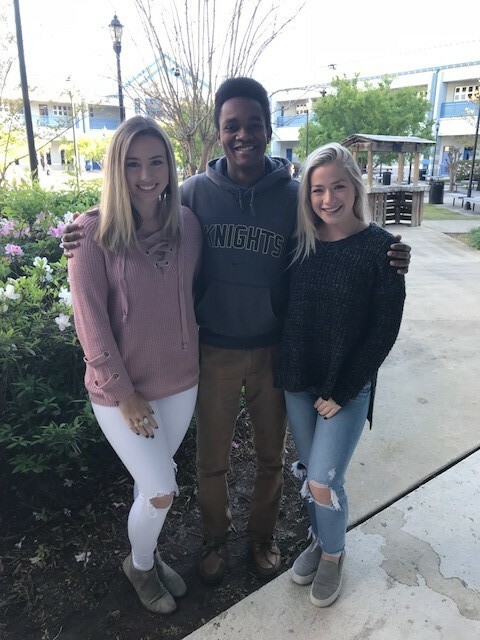 Menendez also gives students the option to participate in a rigorous program of International Baccalaureate, Advanced Placement, Dual Enrollment, and Honors Courses.